German studio KING Art (Battle Worlds: Kronos, The Book of Unwritten Tales, Black Mirror, The Dwarves) announced yesterday to have reached a publishing agreement with Deep Silver for Iron Harvest. Deep Silver are mostly known for publishing the Metro, Saint’s Row and Dead Island series. They’ve also proven that they can support crowdfunded games with such hits as Kingdom Come: Deliverance, Wasteland 2 and Pathfinder: Kingmaker. 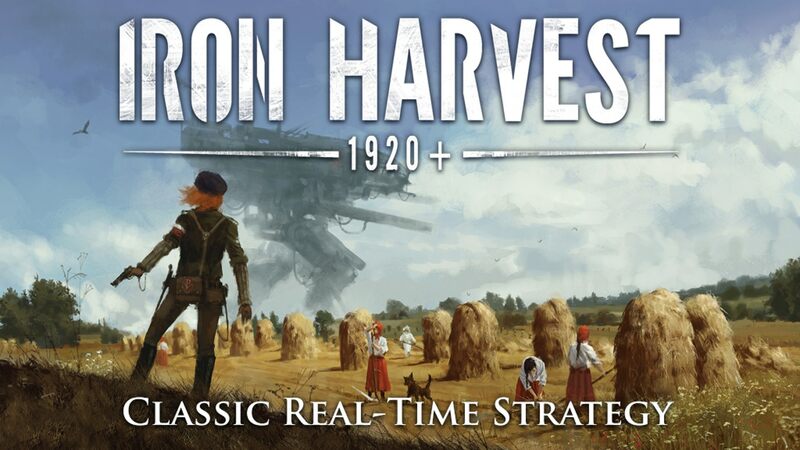 We’ve covered Iron Harvest before. To refresh your memory, anyway, it’s an upcoming real-time strategy game set in the 1920+ alternate world created by Jakub Różalski. It was crowdfunded last year with almost $1.3 million in pledges, unlocking all of the planned stretch goals (New Game Plus, Cinematic Cutscenes, Challenge Maps, Skirmish Mode, Multiplayer, Co-Op Campaign, Co-Op Challenges, Leagues and Seasons, Free DLC Campaign). Iron Harvest will be out on PC, PlayStation 4 and Xbox One, but there’s no concrete release date yet. We’ll let you know once developer KING Art makes it official.